OPW Minister Kevin ‘Boxer’ Moran has assembled a local election ticket that includes his 20-year-old son Jamie. 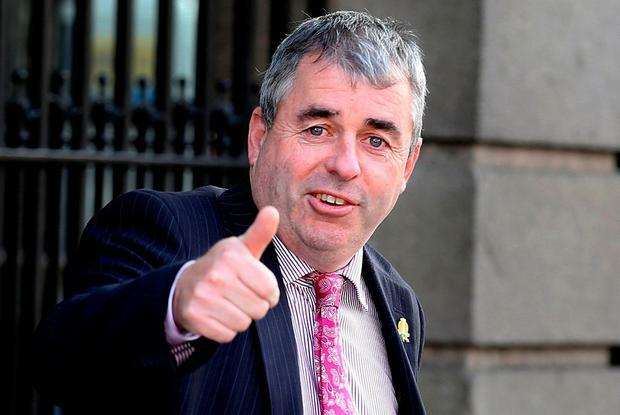 But he faces unexpected opposition from Mr Moran’s brother, Tony, who plans to run for Renua. The battle of Athlone looks set to be one of the most intriguing in next month’s election. Over recent months, the minister has been working with ex-Sinn Féin mayor of Athlone Paul Hogan and Independent councillor Michael O’Brien. His son then approached him about also getting on a three-pronged ticket, with Mr Moran agreeing after some initial doubts. He told the Irish Independent he had warned Jamie that he could be “annihilated” on social media and would need to work 24 hours. “But he’s been working with me for a few years and knows what’s it’s about,” Mr Moran said. Asked about his brother’s entry into the race, the Independent Alliance TD said he wasn’t aware of his decision but “that’s politics”. “I wish him the best of luck as I would anybody running. “I love competition. Competition is healthy. For too long we had the political parties dominating the politics in Athlone,” Mr Moran said. The minister spent 17 years on Westmeath County Council before being elected to the Dáil in 2016. His alignment with Mr Hogan is likely to also raise eyebrows locally. The former mayor left Sinn Féin in 2017 after claiming he was bullied. At the time, Mr Hogan said he had been subjected to the “most insidious and vile allegations” by Sinn Féin members.